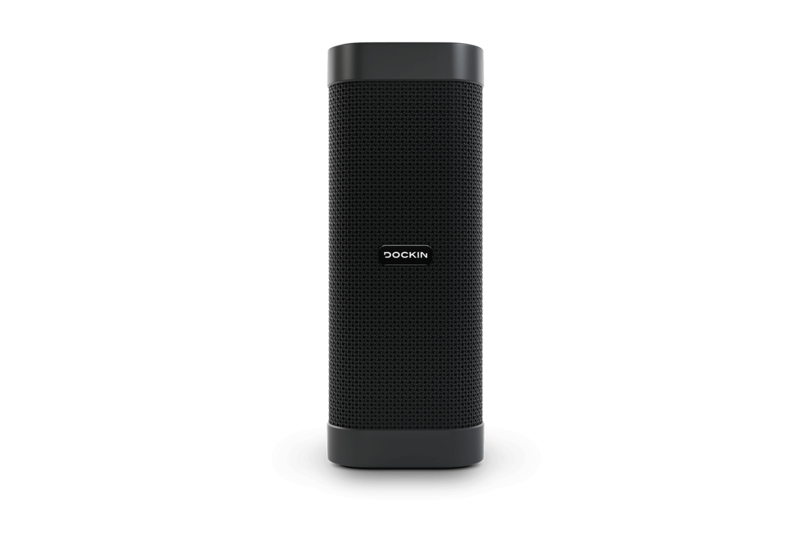 The DOCKIN D MATE combines great sound with a desire for adventure. 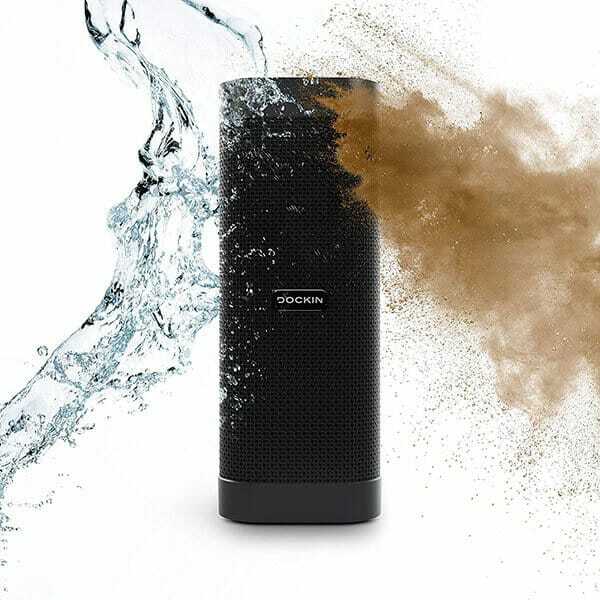 It is protected against strong jets of water, has a battery that lasts up to 16 hours with an integrated power bank function and can be connected to a second D MATE to form a stereo pair. Wanderlust, what more do you want? 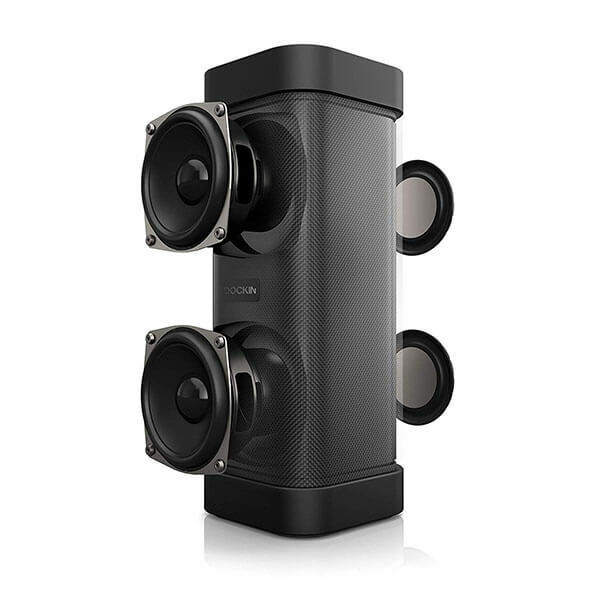 Two drivers and two passive bass radiators provide the sound optimized for outdoor use. And where we’re already at two: Connect two D MATE via stereo link to a stereo pair and enjoy even more rich sound. At the touch of a button, the sound can be changed from normal to bass boost. 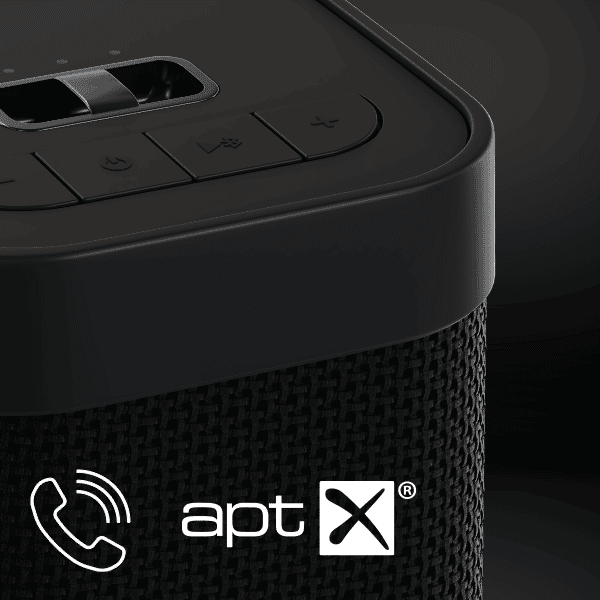 The D MATE also offers an integrated voice intercom and Bluetooth 4.2 with aptX. On the road and no power socket nearby? 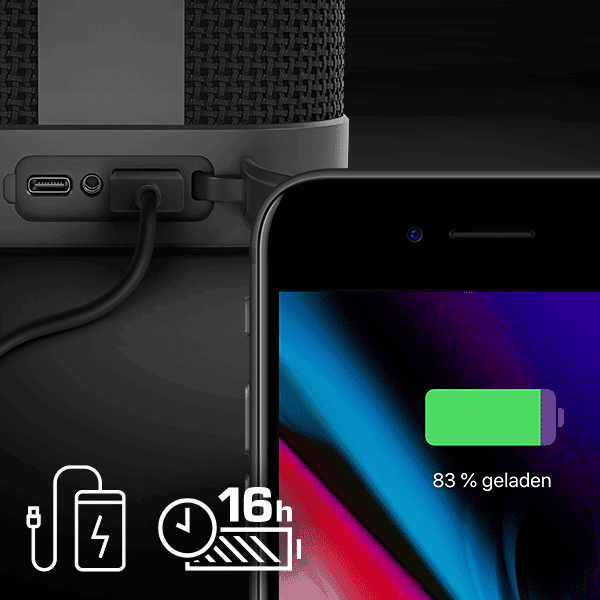 Don’t worry, the D MATE plays up to 16 hours of music with a fully charged battery. 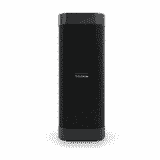 And should your smartphone ever need a little power, you can use the integrated power bank function to charge it. It can be that simple. The D MATE was designed for outdoor use and is therefore particularly hard-wearing. Even strong water jets don’t bother it thanks to IPX6. And thanks to the eyelet on the top, you can quickly attach it to your backpack, for example.